Eastern Washington quarterback Gage Gubrub had his medical redshirt approved by the NCAA and he will transfer to WSU to try for the starting QB spot. Gubrub earned his bachelor’s degree from EWU last fall and will enroll in graduate courses this week. 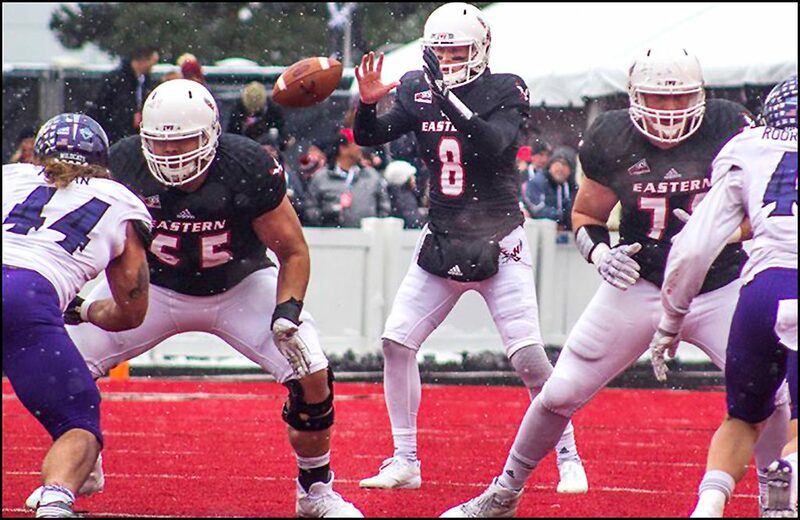 Gubrub is an All-American quarterback for EWU and after a season-ending injury this year ended his senior season with the Eagles early, he applied for a transfer to WSU. Click here for the full story. Gonzaga improved to 23-2 on the year and 10-0 in the WCC after crushing typical rival Saint Mary’s on Saturday. Brandon Clarke led the Zags with 24 points and Gonzaga won it’s 14 straight game. Click here for the full story. Robert Franks scored 31 points and WSU ended a 14-game losing streak against college basketball power Arizona with a 69-55 victory on Saturday. The Cougars swept Arizona and Arizona State on the road for the first time in over a decade. Click here for the full story. Cold stretches helped dig double-digit deficits in each half for the Eastern Washington University men’s basketball team, but they rallied late to knot the score three times before falling to preseason Big Sky Conference favorite Montana 75-74 Saturday (Feb. 9) at Dahlberg Arena in Missoula, Mont. Sophomore Jacob Davison led the Eagles with 23 points for his sixth 20-point performance in his last seven games. Click here for the full story.